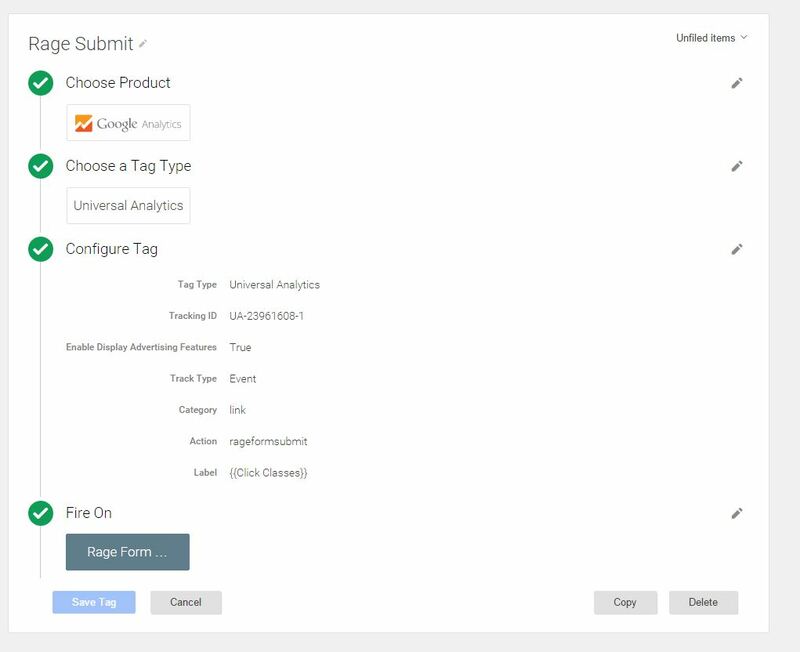 Being able to track your form submissions is a critical part of any online marketing campaign but it seems with Google Tag Manager v2.0, Google have made this important process as difficult to achieve as possible. Awful documentation really doesn’t help the situation and most online posts and topics are regarding an older version of Tag Manager so are impossible to follow. First of all, you need to forget about the Form event type. Trying to get the Form event type to fire on an AJAX submission is difficult because of the very nature of AJAX – it interferes with a normal form submission. Most validation plugins are also going to cause an issue here. So for this to work, we’re going to make our own custom event. 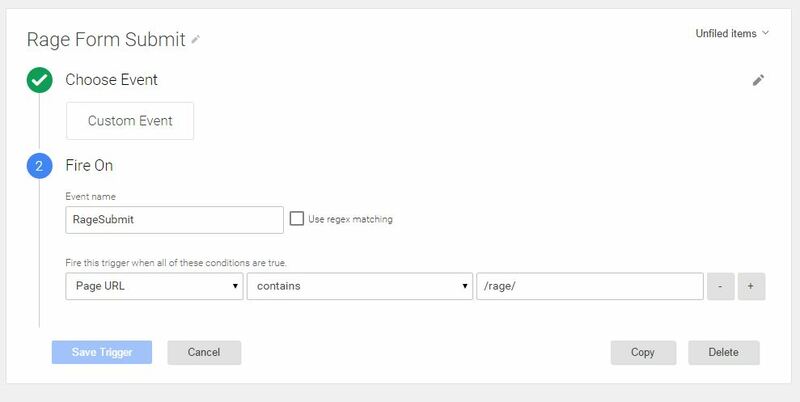 In Tag Manager, create a new Trigger. Under type, select Custom Event. Give the event a name, and then add any conditional rules for your trigger. Next you’ll need to create your tag. Select Google Analytics as Product, and Universal Analytics as Tag Type. Then configure your tag by specifying your Analytics Tracking ID in the Tracking ID box, and change track type to Event. You’ll need to enter at least the Category value, but you probably want to specify Action as well as possibly Label. Under Fire On, add the Trigger you already created. Your Tag Manager side of the setup is now complete. Next, log in to Google Analytics and click through to the Admin page for the property you’re working with. You now need to add a new Goal. The Goal Type should be set to Event, and the values of Category, Action and Label should match the values you specified when you created your tag. You should now be good to go – but remember to test through Tag Manager’s preview mode. If you have any trouble with this, or any suggestions, comment below and perhaps we can help. 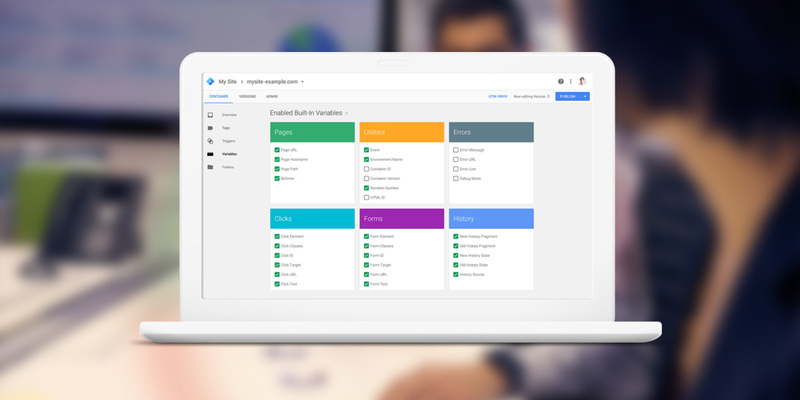 Being able to track your form submissions is a critical part of any online marketing campaign but it seems with Google Tag Manager v2.0, Google have made this important process as difficult to achieve as possible. In order to promote your business and reach consumers that spend an entire 24 hours a week online, you need to make sure that you have a viable social media strategy in place. By posting unique and interesting content on your social media platforms, and by actively engaging with followers, you can start to turn this into a funnel for generating leads. In order to stay on top of your social media strategy, it’s important to have some form of social media management software to do some of the heavy lifting. Software such as this is imperative for scheduling, tracking and monitoring social media content. At its best, social media management software can help you not only plan your content months in advance, but also remain reactive by letting you tune into ongoing news stories or trending topics. There are a whole bunch of social media management companies out there and all of them offer roughly the same sort of package but Hootsuite is the only one that offers an actually free service (as opposed to just a free trial period). They do try to hide it on their website though so make sure you follow this link in order to get to the right page. Of course, there’s also a number of paid-for packages that you can buy from Hootsuite that give you access to a great number of services including higher ad spend budgets, automated post scheduling and custom analytics. But if you’re a small business looking to get started, the free version of the software should be comprehensive enough to allow you to get your social media strategy in motion. We’ve said before that the secret to a successful lead generation strategy is to keep analysing and refining your methods. Well, website tracking software is the best way to conduct this analysis. By digging into the analytics of your visitors’ actions, you can start to gain a better picture of why people come to your site, what they want from it, what they dislike about it and how you can improve upon their experience next time. There are a wide variety of services that can fall into the category of website tracking software, including heatmaps, funnels, user polls, surveys, visitor recordings and more. Basically, any kind of software that collects data about the ways in which your visitors interact with your site can be considered website tracking software. Whereas there are a multitude of smaller software companies that focus in on just one website tracking service, Hotjar offers an array of useful tools. Hotjar’s free service is able to collect data from 2000 page views a day and will give you access to up to 300 visitor recordings and 3 heatmaps, forms, funnels, polls and surveys. Unlimited users can be added to your account and Hotjar will also store your data for a full year. While we’d normally recommend free services when possible, it’s probably worth paying for Hotjar’s Plus plan to begin with. For just under £25 a month you can collect data from 10,000 page views a day and have unlimited services and reports. Plus there’s even a 15-day free trial for you to test out whether you like their software or not. Lead generation doesn’t have to be an expensive endeavour. What’s important is that you put real effort into all of your interactions with potential leads - whether that’s through educational and informative blog posts, social media interactions or even just a chat on the phone. If you believe in your business’ ability to help its customers then all you have to do is let that shine through. Ultimately, these tools are just there to help you meet potential leads on their level. The rest is up to you. Stay up to date with the latest marketing, web design, and branding tips and news.